Hard water is created when water passes through rock formations and picks up calcium and magnesium. Hard water is easy to spot; it leaves a bathtub ring made up of hardness minerals and soap. This scum collects on shower walls, clings to hair, clogs skin pores, and makes house cleaning extremely difficult. Hard water deposits also clog pipes, cause water heaters to operate inefficiently, and increase the maintenance on water-using appliances. leave stains on sinks, clothing and linens, or it can form scale on pipes and water-using appliances that make water look, smell and taste bad. The top of the line EcoWater ECR 3702 is rated to remove up to 15 ppm of clear water iron. Customers, who have installed this unit, solved all their iron problems. In most cases our equipment can remove triple the iron compared to competitive brands. Should your water run red out of the faucet, an ETF | Air Injection Iron Filter ahead of your water softener will fix the problem. A separate iron filter may be needed. To learn more and get a FREE in home water test and estimate, contact Tri County Water Conditioning today. Chlorine can make water smell and taste bad and is a known carcinogen. Chlorine is a powerful oxidant and is commonly used as a disinfectant in commercial and household sanitation, bleaching, and maintaining swimming pools. The most significant application is the disinfection of public water supplies where it’s used to manage bacteria levels in drinking water and kill potentially agents that seep into lakes, rivers, streams or groundwater. When removing chlorine the sole objective, the EcoWater ETF 2300 Central Water System (Whole House Solution), is the ideal choice. If hard water is also present, the most efficient way for a homeowner to eliminate chlorine is through the ERR 3702 whole home refining system, which combines water softening with chlorine removal in one integrated piece of equipment. For a drinking and cooking solution only, e.g. kitchens, ice makers and wet bars, the EcoWater Reverse Osmosis System is the best option. To learn more and get a FREE in-home water test and estimate, contact Tri County Water Conditioning today. The unit of choice for a whole house point of entry system is an EcoWater ESS 1000 XR32 with a specialty resin. This unit regenerates with salt (like a conventional water softener), but with the specialty resin it removes nitrates. Should you choose to just purify your water supply for human consumption, EcoWater’s advanced ERO375 Reverse Osmosis System will provide you with outstanding drinking water. To learn more and get a FREE in home water test and estimate, contact Tri County Water Conditioning today. Different types of organic matter can cause your water to taste bad, often fishy or earthy. Bacteria in water takes many forms and the best way to know the type of bacteria present is to have your water professionally tested. A common symptom of bacteria in water is slime build up in the toilet tank. After we determine what form of bacterial contamination is affecting your water supply, the EPS 1000 microbiological drinking water purification system is often the solution of choice. Certified to meet or exceed the EPA requirement for the removal of bacteria, viruses and cysts such as giardia and cryptosporidia, the EcoWater EPS 1000 can be installed on both municipal and well water supplies. The only thing left behind is pure water and minerals that help improve the taste of filtered water. If your water however is found to have severe bacterial contamination, EcoWater also offers the Sentry Open-Air, a system that is like your own private water treatment plant, offering pristine crystal clear water without leaving unwanted chlorine or other trace chemical that may be found in municipal water systems. To learn more and get a FREE in-home water analysis and estimate, contact Tri County Water Conditioning today. Tannins make water look yellow or brownish in color. It causes staining on clothes and fixtures and makes the water look murky and unclear. Tannins are composed of tiny pieces of organic material floating in the water and are typically caused by decomposing vegetation getting into water supplies. For tannins in your water the most often recommended unit is an EcoWater ESS 1000 XR32 with a specialty resin. 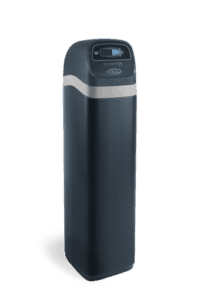 This unit regenerates with salt like a conventional water softener, but with the specialty resin it removes tannins. To learn more and get a FREE in home water test and estimate, contact Tri County Water Conditioning today. Dissolved gases can cause cloudiness and bad odors in water. It can also cause pipes to hammer and spitting of gas and water when a faucet is opened. Methane gas is odorless and occurs naturally in some underground water wells. Hydrogen sulfide gas smells like rotten eggs and is occasionallly present in underground aquifers. Dissolved gases in water can be aggressive to piping systems and cause wear on valves, seats and washers. If you have a rotten egg odor in your water you may not need any equipment at all. Should the odor be noticed only when using hot water, the problem may be simply fixed by servicing the water heater. If your cold and hot water, however, is found to have a trace of hydrogen sulfide gas, our Sanitizer Series may be the solution for you. 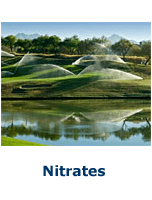 In severe cases of hydrogen sulfide and methane gas, or multiple water problems, EcoWater also offers the Sentry Open-Air, a system that is like your own private water treatment plant, offering pristine, crystal clear water without leaving unwanted chlorine or other trace chemical that may be found in municipal water systems. To learn more and get a FREE in home water test and estimate, contact Tri County Water Conditioning today. Arsenic is an odorless, tasteless heavy metal. It is naturally occurring in the environment and is a by-product of agricultural and industrial activities. It can be in two forms: arsenic III and arsenic V. Human exposure to arsenic can cause both short and long term health effects. Short or acute effects can occur within hours or days of exposure. Long term exposure has been linked to cancer of the bladder, lungs, skin, kidneys, nasal passages, liver and prostate. The classification of the form of arsenic and its relative level determines the methodology to solve the problem. A Reverse Osmosis System can provide a simple solution at a single faucet for arsenic V only. 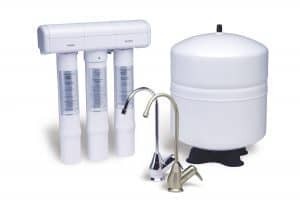 When the level of arsenic III or the total arsenic is extremely elevated, our Sentry Open-Air model provides your family safe, clear, clean water to all faucets in your home. To learn more and get a FREE in-home water test and estimate, contact Tri County Water Conditioning today. These chemicals are more commonly referred to as Volatile Organic Contaminants (VOC). But there is nothing organically good about them. They are very dangerous man-made chemicals like TCE, PCB, THM, PCE, benzene, insecticides, pesticides, herbicides, etc. They commonly enter the drinking water from leaking underground storage tanks, industrial run off, leaking landfills, toxic dumping/spills or were used in farming before they were known to be harmful. Many of these man-made toxins are known to cause cancer when humans come into contact with them. These dangerous chemicals can be ingested in your drinking water, inhaled in the shower, or absorbed through your skin when bathing. The EcoWater Central Water System is the whole house solution for the removal of toxic chemicals. For higher flow rate needs, the ETF 2300 is the system of choice. 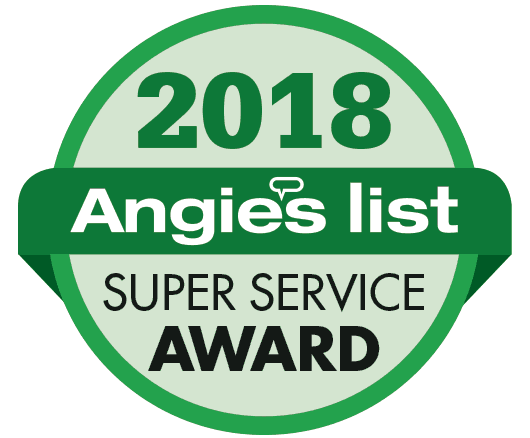 For the best drinking water solution, an EcoWater Reverse Osmosis System is the recommended solution while chemicals alone may be removed by a cartridge filter. To learn more and get a FREE in-home water test and estimate, contact Tri County Water Conditioning today.